Did you get married in Spain and want to divorce, but do not you know the divorce laws in Spain to do it? Do you have a legal problem with a member of your family and need help to solve it? 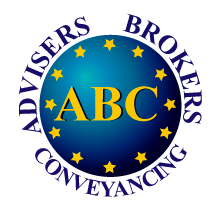 In ABC Solicitors we are perfectly aware that family and marriage legal issues are very hard and complex, so they need to be treated in a more careful way, as they can damage the emotional well-being of our clients, as they are disturbing and unpleasant issues. For this reason, in our company, we put at your disposal all our specialized Spanish divorce lawyers in Orihuela Costa with wide experience in all types of family matters, especially marital. In addition, all our specialized Spanish Divorce lawyers will attend you in English, since we know perfectly well that your family problem is hard enough so that, besides all that, you can not be legally advised in your own language about some divorce laws in Spain that you do not know, because they are not the same as those of your country. In our company in Spain Orihuela Costa, we offer legal advice to both married and unmarried couples who have common properties or interests. Our main objective in dealing with this type of family matters is that making this hard process the least traumatic for our clients, therefore, the first thing we do in our company is to explain them clearly and easily all the legal options that they have, so they can decide what is the best for them. Do you need us to help you or advise you on any legal family issue in the most careful way possible? Do not hesitate to contact our family law lawyers in Spain Orihuela Costa. They will not hesitate for a moment to help you in everything you need. You can contact us calling at +34 965 712 694 or visiting us at any of our offices. In case you need legal advice, contact us and we will be ready to gladly help you.